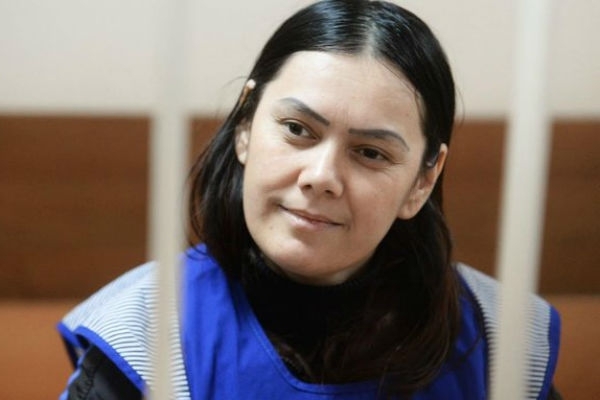 GYULCHEKHRA Bobokulova, 38, has admitted to killing and beheading the defenceless youngster, Nastya Meshcheryakova who was in her care then brandishing the head for all to see. The nanny stated on March 2 that she acted to avenge Muslims killed in Putin’s air strikes in Syria. Dressed in a blue bib, Bobokulova was wearing the same clothes as during her court appearance. Vladimir Putin launched his air strike campaign in Syria on September 30 in support of President Bashar al-Assad, this intervention has altered the course of the Middle Eastern conflict. Next articleMouths sewn shut in protest over demolition of Calais ´Jungle´.